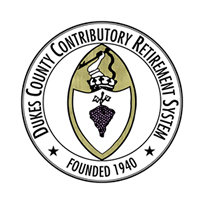 An important concern for many active and retired members is how their Social Security benefits might be impacted by receipt of a retirement allowance from the Dukes County Contributory Retirement System. Members should know that the receipt of a retirement allowance from Dukes County Contributory Retirement System may reduce or eliminate Social Security benefits. However, a member’s Dukes County Contributory retirement allowance will not be reduced by the receipt of Social Security benefits, or any other pension a member may be receiving. As members’ individual circumstances vary, the Social Security Administration should be contacted directly by those who need information regarding Social Security benefits. For more information, members may go to Government Pension Offset (Publication No. 05-10007), for government workers who may be eligible for Social Security benefits on the earnings record of a spouse; and Windfall Elimination Provision (Publication No. 05-10045), for people who worked in another country or government workers who also are eligible for their own Social Security benefits.